I’ve been running Work-At-Home Success since 1998, and while it wasn’t a blog then, I still wrote content. Once blogging became popular the amount of content grew. Then there are the other blogs I run, all of which need new content as well. Sometimes it’s too much. Sometimes I don’t know what to write or I’m tired of writing. 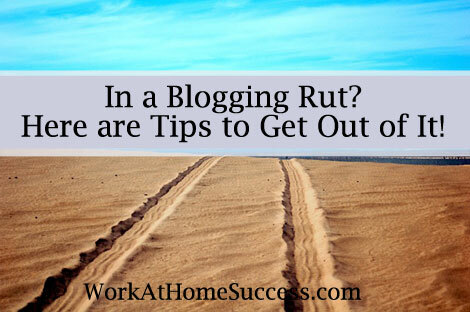 If you’re finding yourself in blogging rut, check out “Help! I’m Sick of Blogging” over at Digital Writer Success. You’ll get tips on how to infuse new energy into your blog, get unstuck and more.